He visto este "meme" en varios blogs y me ha resultado interesante hacerlo. Además, ¿quien no se ha encontrado en la situación de tener que elegir unas pocas cosas para llevarse a algunas vacaciones o escapada de fin de semana? - Polvos sueltos minerales de Essence. Y atención, los he antepuesto ante mis queridísimos polvos Blot de MAC que me acompañan allá donde voy! Y es que, he decidido darles una nueva oportunidad a los de Essence (que los tenía en el fondo del armario). Parece que me aguantan bien los brillos además de que cubren muy bien las imperfecciones. Así que 2 x 1. - Cualquier gloss o bálsamo labial. La verdad es que me da igual la marca pero lo que si es un hecho es que no puedo vivir sin ellos! - Crema de manos. Esta se viene conmigo también. Ahora uso la Hydraclean de Eudermin que aparte de hidratar, su textura en gel las limpia. Otro 2 x 1 imprescindible para mí. - Gel antiimperfecciones de Galénic. El salvavidas para los granos inoportunos! - Lápiz de ojos. Cambia muchísimo el aspecto de llevarlo o no. Así que para una situación "salvavidas" viene ideal. y vosotras, ¿que 5 cosas meteríais en el neceser? Este premio me lo ha otorgalo MELA desde su blog Sombra aquí Ropa allá. Muchas gracias guapa! - La ropa de bebé. No es que tenga pensado tener niños (de momento) pero sí tengo 3 sobrinos bellísimos y siempre que le hacemos algún regalo que sea de ropa me pongo super tierna con la ropa. Me parece tannnn mona! 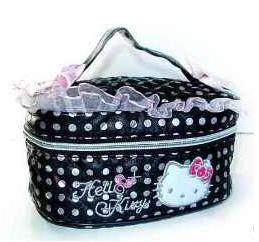 - Los accesorios de Hello Kitty. Puede parecer infantil, hortera... pero chicas, que quereis que os diga, a mi me encantan!! - Los bichón maltés y los lulú de pomerania. Me gustan todas las razas de perro en general pero estas dos me tienen robado el corazón. Si es que mirarlas!! Parecen peluches! Que monada por favor!!! El premio también consiste en nominar a 5 blogs pero yo , como siempre, lo dejo abierto para quien quiera poneres sus "cucadas". Venga, animaos chicas! I am right here to help get your internet site off to an excellent start off. Do not be one of these that wished that they had completed it better the first time, then consider around the job, and expense, of starting over. Your site reflects that which you as well as your company or hobby are all about. I am able to offer low-cost, user-friendly, custom developed internet sites for a vast variety of firms, organizations and groups.In addition, it shouldn't price a lot of money to get you began. I'll aid guide you via the method and even warn you once i think you may be acquiring in above your head, or beyond your spending budget. Internet has changed the way the world lives today. There were many tactics that a business had to use in the past to become popular and be more successful. Now one of the main and the best things that a business can do is to have a website and ensure it is well known and successful so that there are a large number of visitors. There are many Search Engine Optimization techniques that one can apply on their website which will help them increase the visibility and popularity of the website. To apply all these techniques one needs some level of technical expertise and not all businessmen have this. One needs a website which will help them to do all the work and ensure that there are high number of visitors on the website, which will make it successful and popular and increase sales. Xrumer Master is one such website and rather the best one. They sell backlinks and one can use these backlinks to get the traffic. The backlinks have to be posted on different websites and forums from where one can traffic. Getting traffic is not the only thing that needs to be done, as one needs to get quality traffic. Quality traffic is the visitors who have interest in the website and the work of the business. This traffic can be obtained when the backlinks are placed on the relevant websites and forums. Xrumer Master is a master in the field and they provide backlinks at very nominal rates. The website offers various packages. Through [url=http://www.xrumermaster.com]Xrumer[/url] master backlinks can be obtained which gives a boost to the traffic on the website. 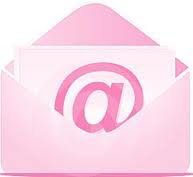 Links can be placed on various websites and forums and these guarantee visitors on the website. Xrumer master offers many packages to so that the clients can choose the ones which suits their requirements and also fits in to their budget. One can get a package where 500 backlinks to 20,000 backlinks are available. The 500 backlinks are available at a small rate of $5 whereas the pack with 20,000 backlinks comes for $80 which also is reasonable. There are some great deals also available which are very economical and bring in huge sales and profits for the website and for the business. Xrumer Master is very reliable and offers high quality services. They charge very nominal rates which can be afforded by any business and the increase in revenue that they cause makes the investment all the more small. By investing small amounts one can easily get huge returns. With the help of backlinks that are sold by Xrumer Master one can get a high level of quality traffic on their website which is bound to affect sales of the business and increase the profits of the business as well. With the assistance of Xrumer Master all business will reach new heights of success and will be able to cash on the website which will have many visitors.